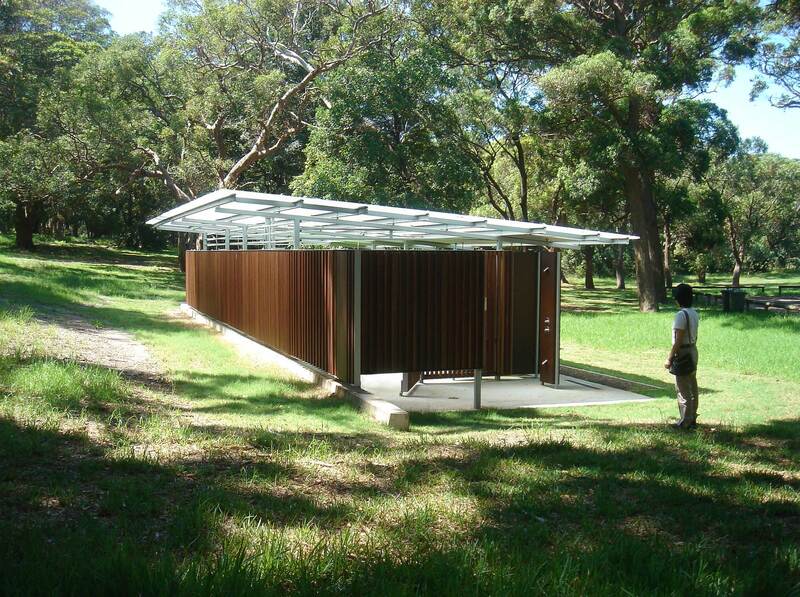 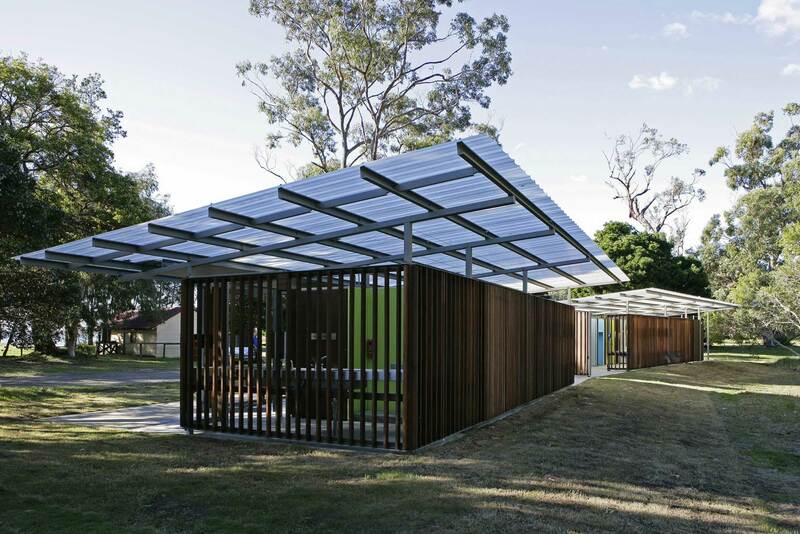 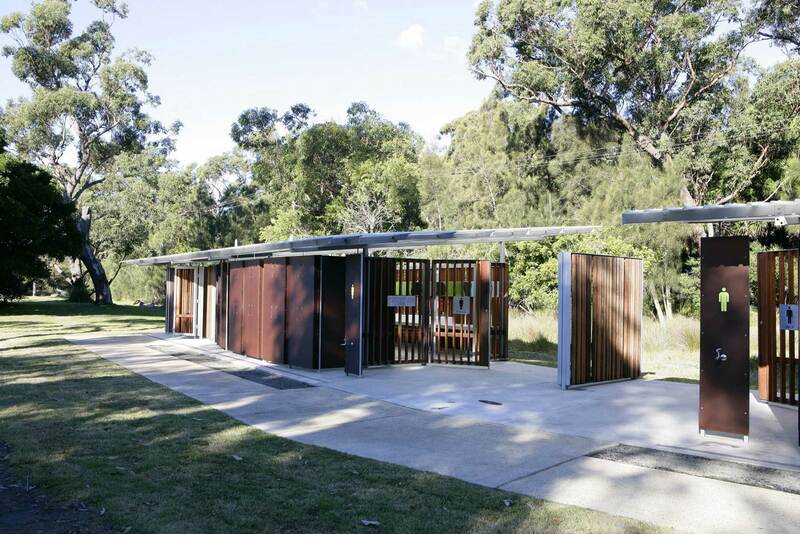 The National Parks and Wildlife Services (NPWS), managers of national parks in NSW, were looking for a new approach to the design of their amenities buildings that required low maintenance yet delivered more enjoyable and safer facilities. 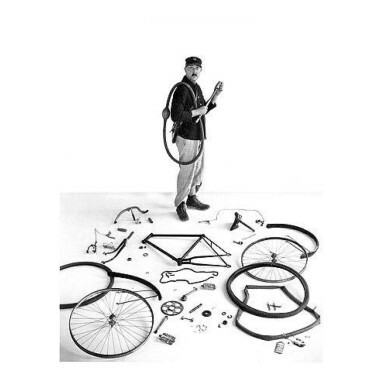 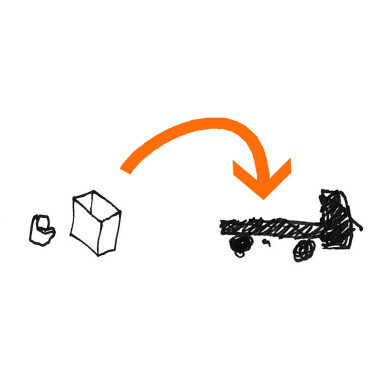 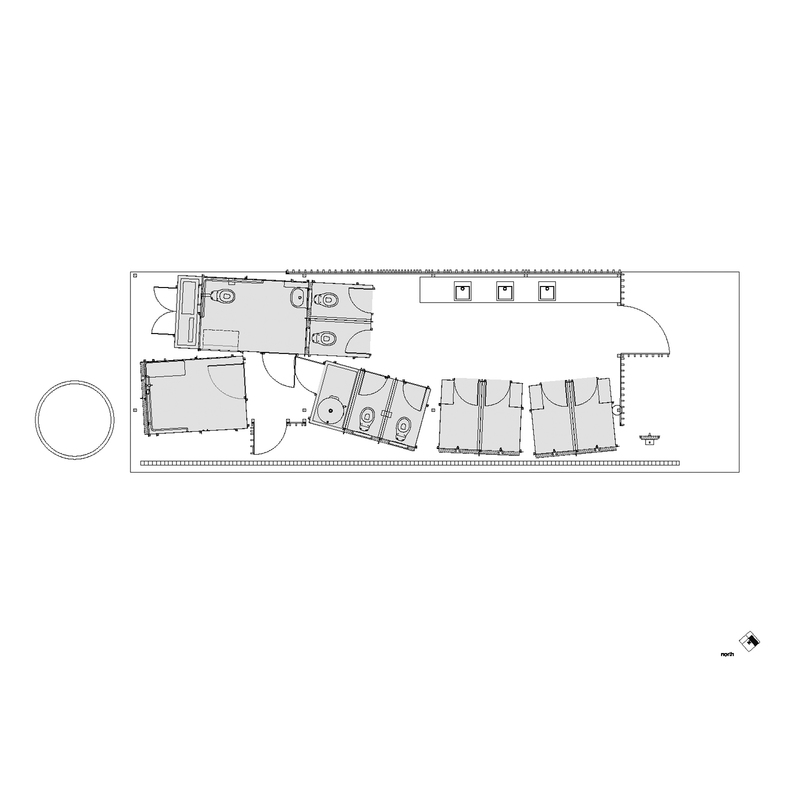 They were also looking for a design that could be easily adapted to their numerous locations : a kit of parts. 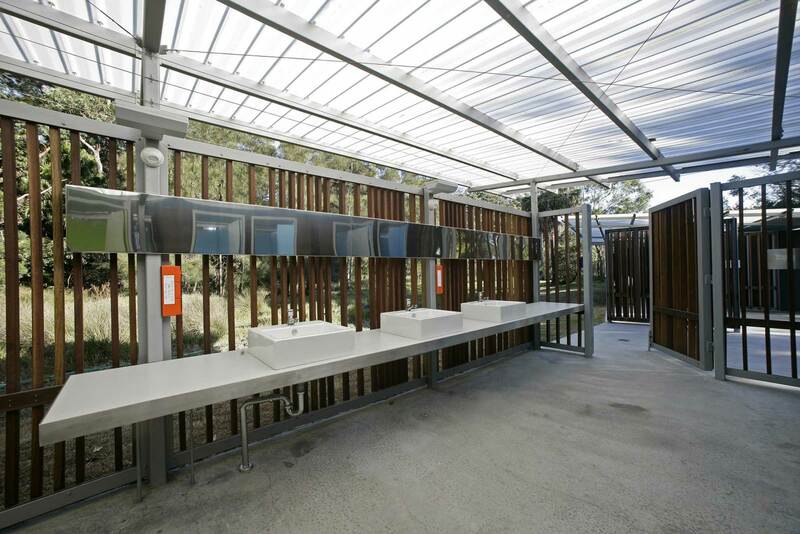 The design delivers facilities filled with natural light, permeable to breezes and views and built from robust materials. 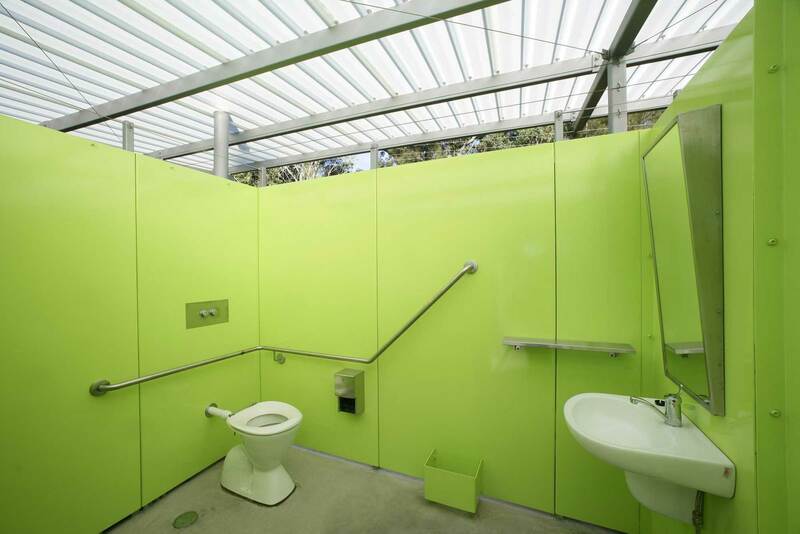 Safety is ensured with good visual access from within and without the communal area of amenity buildings. 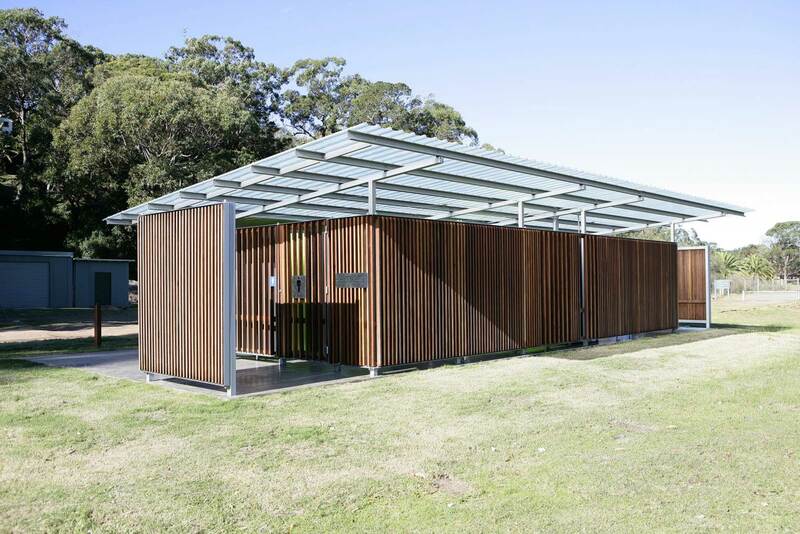 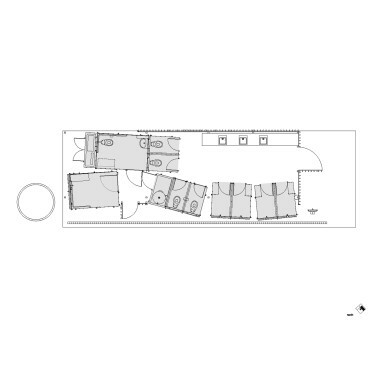 The backs of showers and toilet cubicles are oriented towards the campsite providing privacy. 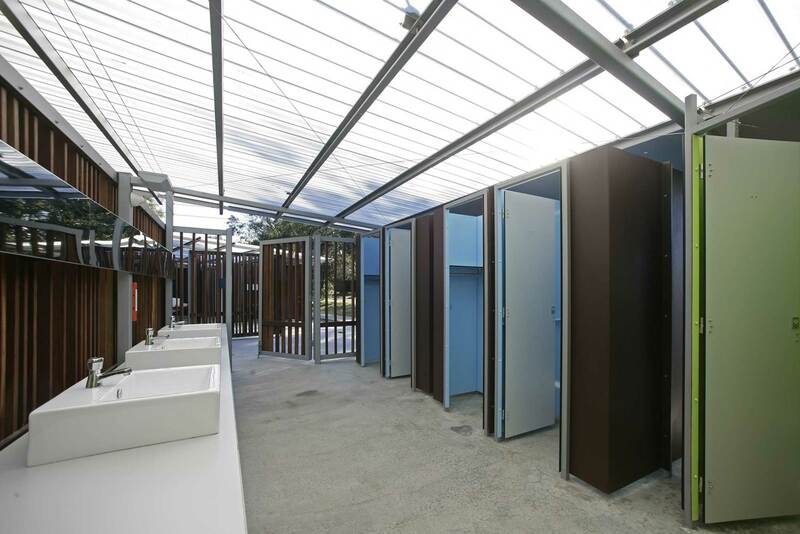 The cubicles are playfully arranged under the roofs allowing different orientations and configurations depending on the different site locations. 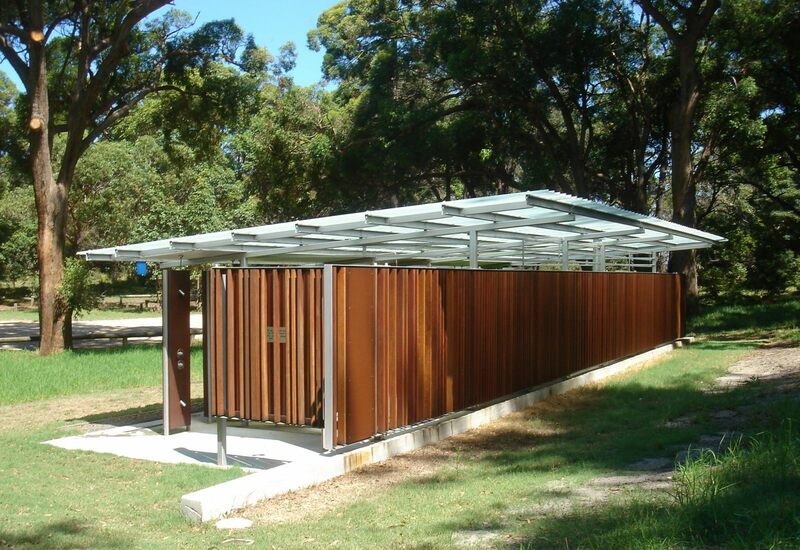 A simple palette of materials is used : etched concrete slabs with steel portal frames supporting a translucent sheet roof above and pre-weathered steel panels and timber slats providing enclosure and privacy. 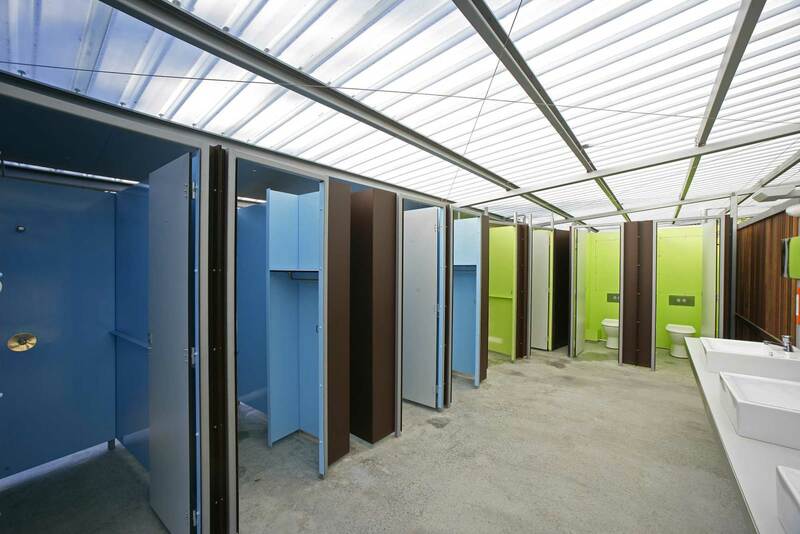 The interior of the steel cubicles are painted bright blue in the shower and green in the toilets. 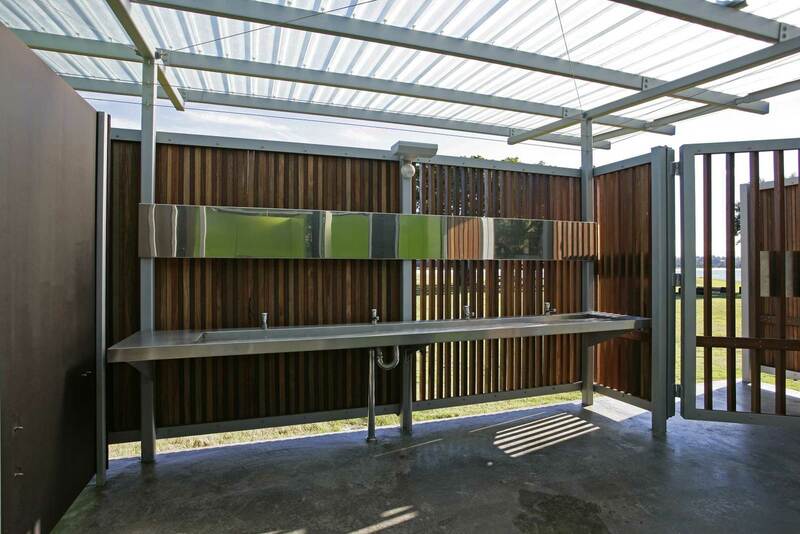 Basins and taps were chosen to give the buildings a less institutional atmosphere. 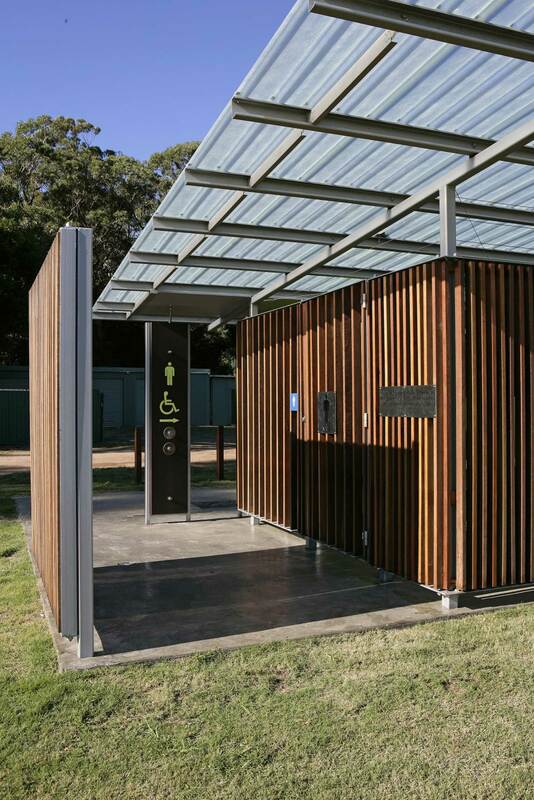 Many of the design considerations were aimed at reducing vandalism by humanizing the facilities.